the picture is a hint? masters program in Deaf Education. 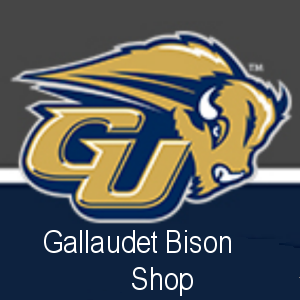 at the Gallaudet Field House. logo and was puzzled and asked few questions about it. family trees and were shocked they were related! Always a surprise with Deaf Family Trees. really saying something that is to the point? Lucky to have a hearing friend! After you have decided that Communication Access Realtime Translation (CART) may be right for you in a high school or university setting, now you need to decide if you will be using onsite CART or remote CART. There are many benefits and a few drawbacks to both of these options. Onsite CART is when the CART captioner is physically present in the classroom with the student. The CART captioner connects his or her steno machine to a laptop computer which is placed in front of the student, and the student is able to read what the CART captioner is writing to the laptop screen. Another option is that the student may also use an iPad or other tablet to receive the text if the captioner sits in another part of the classroom. One of the major advantages to onsite CART is that the captioner can see and hear everything that is going on in the classroom. It is oftentimes easier to hear and understand someone when you can see the person speaking than it is over a phone line or Internet connection. If an instructor is using PowerPoint, a chalkboard, or a handout, an onsite captioner can see what is being referred to and fingerspell words that are new or unfamiliar. Another advantage is that there is personal communication between the captioner and the user of these services. A facial expression, a nod of the head, or a gesture can sometimes help to facilitate communication. An onsite CART captioner could be a great advantage when having a small-group discussion. person just cannot dispense medicine! sees something, it translates into sound in his head. 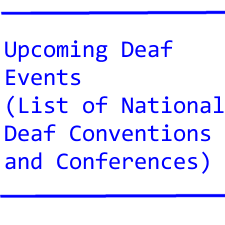 This entry was posted by deafdigest. Bookmark the permalink.